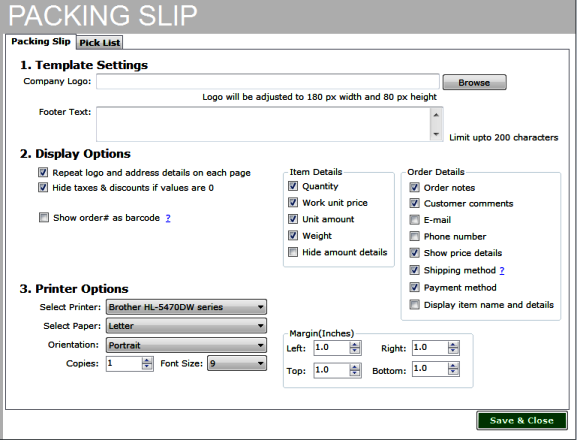 Step 1: Choose the information you would like displayed on the packing slip. Step 2: Choose the printer the packing slip should be printed with. Note: The packing slip should be printed with 1 inch margins all around. Therefore if the font is increased, no information will be unintentionally truncated.